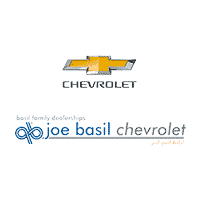 At Joe Basil Chevrolet, we are committed to treating each and every customer that walks through the door like family. Since 1953 our personal philosophy that in the end it’s never about cars, it’s always about the people, has propelled us to the top of WNY’s Chevrolet dealers in customer service. That’s why in 2018 our dealership was recognized by Chevrolet for the 10th consecutive year as Dealer of the Year based on sales and customer satisfaction.The BBB Rating System Overview has rated Joe Basil Chevrolet an ‘A’ in business evaluation since 1978. Year after year, The Joe Basil Family puts customers first! We are proud to provide the easiest, most enjoyable dealership experience for Chevy customers throughout Western New York from Niagara Falls to Fredonia as a full service dealership, offering the best selection of new, used, and commercial cars, trucks and suvs. Our service and parts department have Genuine GM Parts and Buffalo’s Best Body Shop with a professional glass technician on staff. Don’t forget to visit the Joe Basil Resale Center located right next door. Visit our Depew, NY Location today and we’ll show you what the Basil Difference is all about!